My designs are developed on the Llyn Peninsula where I draw and paint the landscape in all weathers year round. I work from my sketchbooks and pursue fluid brushwork, repeating and refining designs to a spontaneous movement and minimalism. 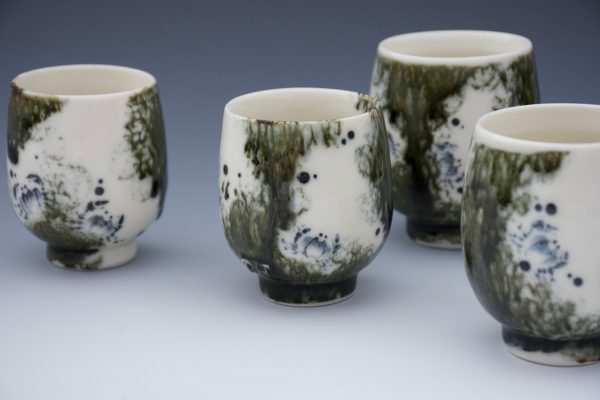 The patterns that I develop strive to be sympathetic to the form and I let myself be influenced by Eastern ceramic traditions, using clean shapes as a porcelain canvas.